I use to think that the electric cooker messes up the nasi for Nasi Lemak. 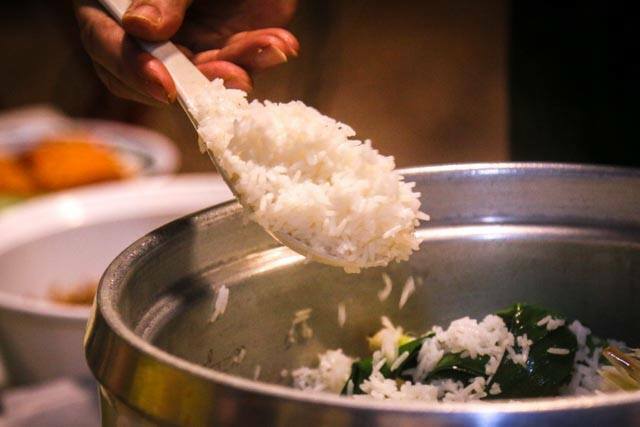 I have most of the time gravitated to steaming the rice as one way to ensure that the rice is separated and fluffy. I have done up many posts about it here. Indeed the steaming method is a good one, albeit more troublesome and not always practical if you are cooking a small batch. 1. When I am cooking the rice, I do not want to cook it in oil. The texture for Nasi Lemak should be different from Chicken Rice, which is cooked with oil added. 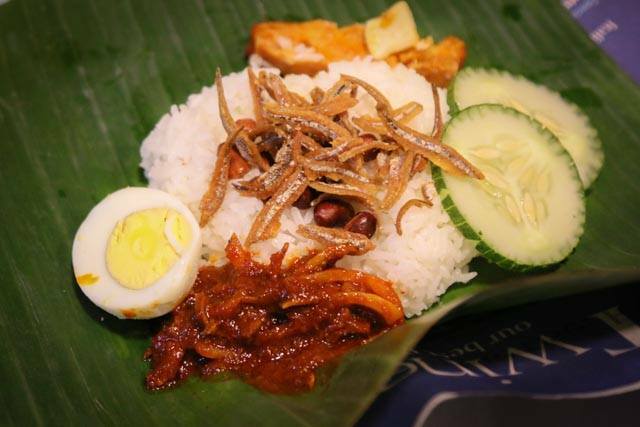 It should look like plain rice (white and opaque) and yet, has the unmistakable flavour and fragrance of Nasi Lemak. 2. To ensure that the rice will not end up mushy, I use the 1:1 rice/water ratio. 3. 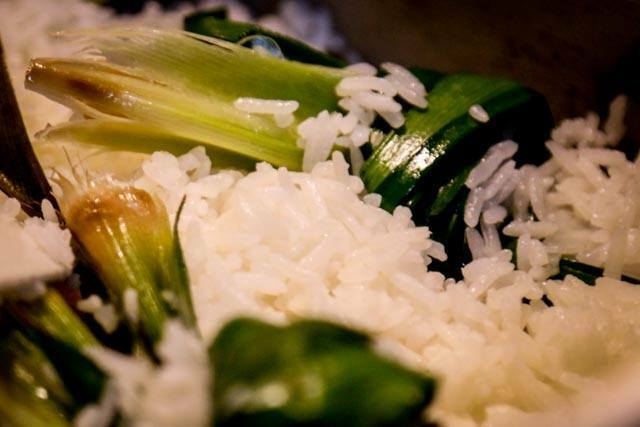 It is after the rice is cooked that I flavour the rice with the coconut cream or thick milk and pandan leaves. When I am cooking the rice, I minimise or omit together any oil. When I am flavoring the rice with coconut milk, I keep the liquid (water) to the minimum and ensure thick coconut cream is used. If you add too much water after the rice is cooked, it won't turn mushy but soggy. You won't want this either. In this recipe, I will give the proportions but you are free to adjust i.e. add more coconut cream or pandan leaves. As long as you don't cook the rice in the oil, you will get the end result that I seek for in a good nasi. And yes, salt is important or else the rice will be tasteless. When the button turns to "warm", pour in the coconut cream and stir gently. Tie up the pandan leaves and add to the rice. It is important to fluff and stir the rice as the way the electric cooke ris designed, the rice eat bottom is often more cooked that this eat the surface. Close the cooker and keep cooking it. After about 5-10 minutes or so, the button will turn back to warm (because of the internal heat). The rice will be ready to serve by now. You can keep it at warm mode for another half an hour if you wish. If you are serving the rice much later, it will be better to switch off the rice cooker. Depending on the rice cooker you are using, even in warm mode, sometimes it is hot enough for the rice to keep cooking. Here is where it could turn mushy. It is actually quite simple. Experiment for yourself and once you understand how to do it, you will be encouraged to cook Nasi lemak more often as the electric cooker is convenient to use.